Whether you are looking to remarry or otherwise need to prove your divorce was finalized, you may obtain a divorce certificate from the New York State Department of Health. Requests may be made online, by phone or mail, and the state offers different shipping options depending on how fast you need the document. A New York divorce certificate is different from a divorce decree. In a divorce, the court will issue a divorce decree, which finalizes the divorce and sets the terms, such as property division and child support. While the divorce decree is filed with the clerk of the court, a divorce certificate is filed with the New York State Department of Health. As opposed to decrees, certificates will include only general information about the marriage and the divorce, such as the names of the spouses and the date of the divorce. The Department of Health maintains certificates for divorces granted after January 1, 1963. 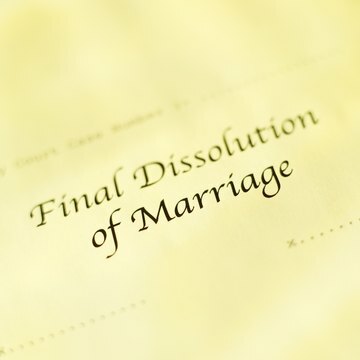 For divorces before 1963, you may contact the county where the divorce was granted to obtain the divorce certificate. Generally, only divorced spouses may request a divorce certificate, and only if they have proper identification. The department will give copies of the divorce certificate to someone other than the divorced spouses only if the request is accompanied with a court order. The application for the certificate requires either a valid photo I.D., such as a passport or driver's license, or documents that show the person's address, such as a utility bill. Applications submitted without identification will be rejected by the department. You may request a divorce certificate by mail. The New York State Department of Health website provides an application to download. Fill out the application and include a copy of your identification along with the appropriate fee, and submit the documents to the address on the form. Fees may be paid by check or money order; however, you must use the online or phone option to use a credit card. Mail requests may take up to 12 weeks to process, but you may pay an additional fee to for priority handling, which will cut the wait time down to two to four weeks. A faster option for obtaining your divorce certificate is to order online or by phone. On the New York State Department of Health website, you will find a link and phone number for VitalCheck, which processes online and telephone divorce certificate requests. You may use your credit card to pay for the department's fee, as well as processing and shipping fees. The processing time is only five to 10 days, and you may pay an additional fee to have the certificate delivered overnight to you. To obtain your divorce date -- the date on which your divorce became final -- you can order copies of your divorce decree or divorce certificate. Typically, you can order these divorce records from the local court, the health department or from the attorney who represented you in the case.